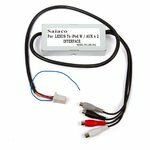 AUX adapter allows you to connect external audio sources to Mercedes-Benz OEM stereo system via AUX input. 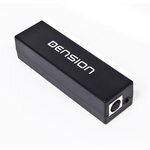 Dension Gateway Lite GWL3TO1 is a simple to use interface for both iPod and USB integration in cars with non-text support head units. Fits Toyota/Lexus cars with 12 pin connectors head units. 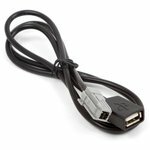 Audio adapter for connecting iPod / iPhone / Smartphone / USB devices to Acura and Honda head units. 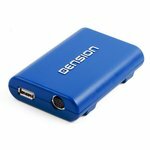 Dension Gateway 300 GW33VD6 adapter allows you to connect iPod, iPhone, USB storage devices to Renault VDO multimedia system and control them via original buttons. 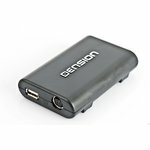 Dension Gateway 300 GW33LS1 adapter allows you to connect iPod, iPhone and USB storage devices to car multimedia system. Fits Lexus GS / IS series models with non-text capable head units. 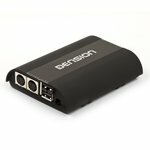 Dension Gateway 300 GW33TO3 adapter allows you to connect iPod, iPhone and USB storage devices to car multimedia system. Fits Toyota Aygo / Peugeot 107 / Citroën C1 non-text capable head units. 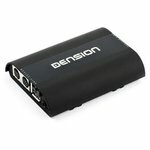 iPod/iPhone car audio adapter Dension ice>Link Lite ILL3DC9 delivers CD-quality audio and charges iPod battery. 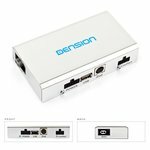 Dension Gateway Lite GWL1MO1 is a simple to use interface for both iPod and USB integration in cars with non-text support head units. 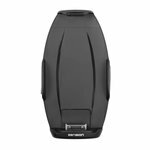 Fits Mercedes-Benz, Porsche, Saab. BMW with MOST bus. 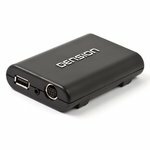 Dension Gateway Five GWF1VC1 adapter allows you to connect iPod, iPhone, USB storage devices and cell phones to Volkswagen RCD300, RCD500 single CAN multimedia system and control them via original buttons. 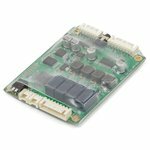 Dension Gateway Lite GWL3MA1 is a simple to use interface for both iPod and USB integration in cars with non-text support head units. Fits Mazda cars with 12 pin connectors head units. Audi MMI3 Dension Gateway kit consists of car iPod/USB adapter allowing to connect iPod/iPhone and USB devices to Audi MMI 3G multimedia system and enabler tool activates factory AMI functions disabled by default. Car iPod adapter allows you to listen music from iPod via your Lexus stereo systems. The device also provides iPod charging and control via head unit buttons. iPod adapter has two AUX audio inputs. 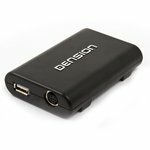 Dension Gateway Lite BT is used for iPod/iPhone, Smartphone, USB and AUX devices integration in cars with non-text support head units. Fits Mazda cars with 12 pin connectors head unit. 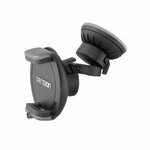 Dension Gateway Lite BT GBL3VW8 is used for iPod/iPhone, Smartphone, USB and AUX devices integration in Volswagen / Skoda / Seat with non-text support head units with 8 pin connectors. 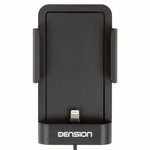 This cradle allows you to conveniently use your iPhone 5 with Dension Gateway 500S / Pro BT adapters. Compatible with other Dension Gateways. Can be used as charging holder. 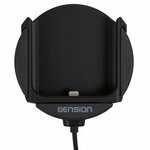 The cradle to use your iPhone 6 with Dension adapters as well as with head unit supporting iPhone through USB port. Can be used as a charging holder.